Iraq from countries committed to pay its debts gives a good indication of what part of the world rankings informal in this area. 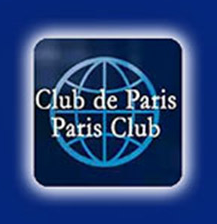 Where have paid more than $40 billion of total debt adjusted to the Paris Club, which was up to 51.6 billion dollars in 2004.
classified Iraq’s foreign debts on 4 categories include both debt to Paris Club countries, the debt of non-member states of the Paris Club, and the debt of commercial creditors ( foreign private sector), and the debt of the GCC countries in addition to contracts for consultants accounting and legal. In this regard, said the academic economic Dr Majid Baidhani that the country strides in stages pay its debts earlier leaving only a fraction of them having fulfilled its obligations to creditors as total debt that has been settled for countries outside the Paris Club exceeded 16 billion dollars after it was up to 18.33 billion U.S. dollars in 2004. He explained in a statement to the (morning): The total commercial debt that was processed amounted to more than 16 billion dollars at a time when 19 billion dollars in 2004.
added during the journey debt repayments initiated Iraq in 2004, offers to settle the debts of the creditors through the presentation of cash purchase, offer a way to buy the debt of religion, where the presentation included the first purchase of the debt by 10.25 percent of the total debt and the abolition of the remaining 89.75 percent, took part in these offers creditors less than the proportion of young people who indebtedness for $ 35 million with total amounts Levels 5 billion U.S. dollars. He explained that the way of an offer to buy the debt of religion included the bond issue a loan of 20 percent of the total debt for the benefit of creditors and the exemption of the remaining 80 percent and pay out of bonds of the loan over the years from 2020 to 2028 and bear interest on the loan bonds at 5.80 percent, have participated in this offer creditors Sales adults who increase their demands for 35 million dollars. mentioned that the government had contracted with four financial institutions and global banks as external advisors who provide advice, support and consulting all matters relating to the settlement of Iraq’s foreign debts. They are all from the Ernst & Young Foundation Cleary Kutlob (outside legal counsel) and the Foundation Alzard French. Foundation Houlihan Lokey English and the Bretton City Krupp and JP Morgan are the two banks and their mission is to provide support to the Ministry of Finance to settle the debts of foreign commercial creditors (foreign private sector) has been entrusted with the task to them due to the wide spread of around the world.